Seek Collective is a line of elevated essentials inspired by the global woman. The brand blends art, craft, and design to create items that are luxurious, sensible, and timeless. The collective is also dedicated to sustainability and social responsibility at every step of their supply chain and produce through partnerships with natural dyers, hand block printers, hand loom weavers, and other environmentally sound vendors and suppliers. Seek Collective is designed in Brooklyn, NY and ethically manufactured by artisan communities in India. We spoke to Carol Miltimore, the Founder about the brand, processes and contemporary fashion that is handcrafted. I was always creating art since I was young, which my parents always encouraged. I then went on to study at Parsons School of Design. The early influences of fashion design and textiles specifically were family friends who had a luxury clothing line and would send me boxes of left over fabrics to experiment with and I was able to visit the atelier of Geoffrey Beene in NYC, which was hugely inspiring to me. So I had a real connection to and appreciation of textile craft and design growing up. During my junior year at Parsons I studied in Paris and then worked for the couture designer Anne Valerie Hash there. It was in Paris that I started taking textile courses and as I continued studying them after graduating in NYC, I became enthralled with the rich history of craft in India. After a decade of working as a designer, I ended up traveling to India for an artist residency and spent months going all over the country, visiting with different artisan groups. I think a lot of craft techniques have often been seen as quite bohemian and traditional. It has always been my goal to create clothing that can be worn by the modern woman while utilizing artisan craftsmanship and responsible practices in a fresh way. In that sense a design viewpoint with a commercial bent helps create a new perspective on how to utilize and revive certain techniques, which include the colors, prints, and silhouettes. I approach prints for Seek Collective first as an exercise in painting as well as an attempt to capture a place, idea, or mood. For a recent print, I was inspired by a trip to Porto, Portugal during the summer of 2017. 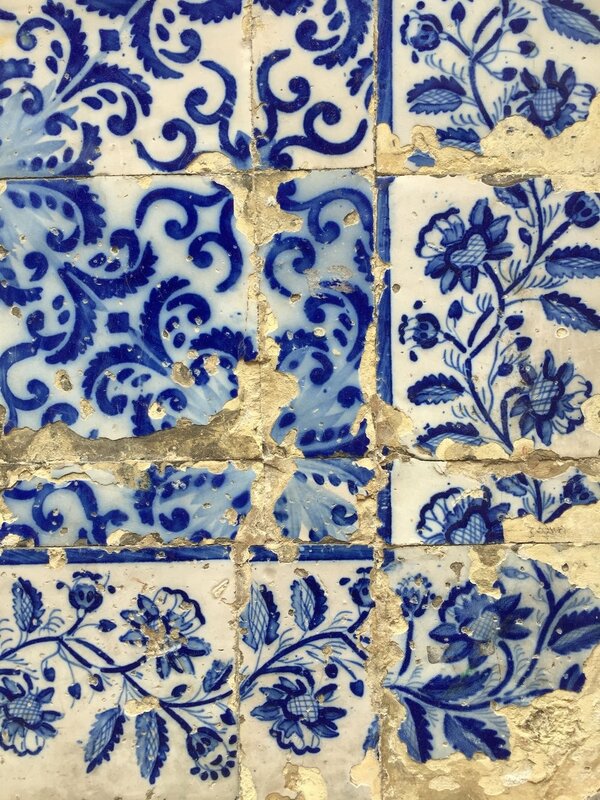 All the buildings covered in tiles of different patterns and colors were gorgeous but I was also intrigued seeing how they had weathered and broken over time when you got closer. This created different looks and patterns entirely and it felt more fresh and different. I started painting the negative spaces of the pieces of tiles missing on a building wall, which ultimately led to the AW18 Mosaic print. To create the textiles I worked with a family run mill to source the silk and it was then dyed with 100% natural dyes. Meanwhile my artwork was carved by hand into a printing block. Another artisan then printed the naturally dyed fabric one block at a time. It’s a system that requires a great deal of skilled people, time and coordination but the outcome is something very special and of value. India is an incredible place of diversity culturally, geographically, and artistically in terms of textiles. India has always been rich in resources for textiles and produced stunning results in this field globally for centuries now. India’s extensive history in techniques and the quality of hand done work that can be achieved are real strengths. A challenge at times is getting artisans to understand the importance of timing and quality control in production. What is interesting now is seeing more and more young designers within India as well as internationally utilizing old techniques in modern ways. Brooklyn certainly has a reputation for being hipster though I’m based in quiet neighborhood near Prospect Park away from a lot of that type of scene. Something I love about New York City in general is you can go out wearing whatever you want, no matter how outlandish, bold, or even subtle, and no one bats an eyelash. There’s a freedom in that I love. NYC and Brooklyn have a history of artists moving into certain neighborhoods that then makes the area very popular generally. Though this is not always a good thing when locals and diversity are not able to stay due to rent increases. What has influenced and continues to influence me the most in terms of design and aesthetic is getting out of the NYC area and traveling to new places that create a sort of sensory overload in colors, sights, culture, smells, sounds, etc. I’ve been lucky in how much I’ve traveled in life and continue to do so. After a trip I like processing, reflecting, and designing while in a quieter space so that is what I find in my Brooklyn home and studio. I think craft, done properly, is inherently slow fashion. Creating something by hand and doing it well takes both skill and time. Craft has such a long history that it lives apart from trends. Fast fashion is more often than not created as quickly as possible based on transient fads. I see true craftsmanship and fast fashion as being on opposite ends of the spectrum of fashion that exists today. I absolutely agree! There is an expression of human experience and culture requiring creativity, imagination and skill inherent within the creation of textiles. At the same time textiles have functionality to be used that I find a key part of anything being designed.